When it comes to home improvements, kitchen renovations are by far the most popular. Whether you’re looking at modernizing your existing kitchen or turning it into a more functional environment, there are a few things to consider before jumping in. In this article we’ll be looking into three things important to every kitchen renovation; your budget, the planned layout and appliances. Without a doubt you’ll want your new kitchen to be as functional and beautiful as possible, however you need to be realistic and be honest with yourself about what you really need and can afford. Take some time to think about what you’d like and their potential costs. A kitchen renovation can be one of the most expensive home renovations you’ll ever undertake. As an example, custom cabinets alone can easily cost over $10,000. With the amount of work that needs to be done, materials needed and time taken, the cost can quickly add up. Treat the renovation as an investment, since a well laid out kitchen can significantly increase a home’s value. 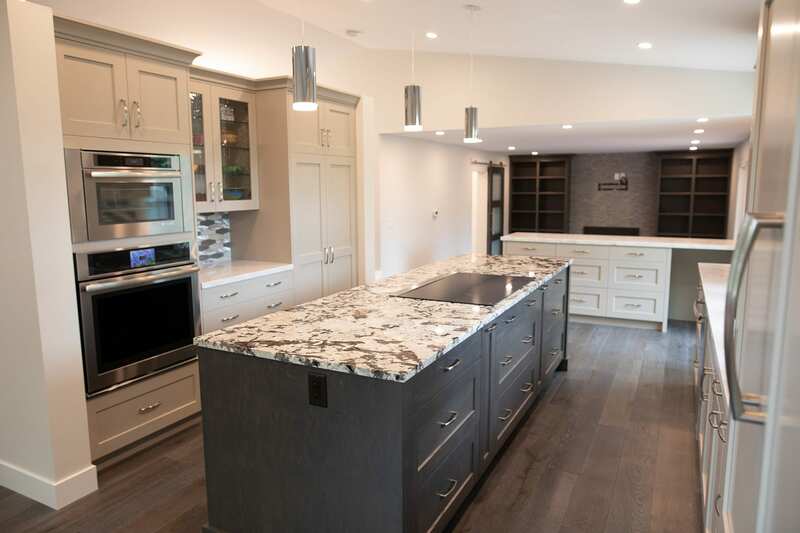 If you need help deciding much to budget for a kitchen renovation, a local realtor should be able to let you know how much your planned renovation will add to your property’s value. Once your budget has been set, it’s time to start formulating a clear, concise plan. Are you looking for a larger kitchen or a brighter, more functional kitchen? Do you plan on keeping your existing appliances or upgrading? Consider your true goal for your kitchen renovation. As always, keep your budget in mind. For example, one great way to save money is to keep the kitchen’s existing layout. This doesn’t necessarily mean that everything must remain in the same place but you’ll save money by utilizing existing water, electrical and gas systems without having to change them too much. If you’ve decided to go for a new layout consider the costs and possibilities of any structural modifications you may have to make, as well as any additional costs associated with modifying the above-mentioned systems. At this stage, it’s highly recommended that you consult with a certified kitchen planner or architect to make sure your plans are feasible. Appliances can play a significant role when planning kitchen renovations. Do you plan on keeping your existing appliances or would you rather upgrade to newer, more modern appliances? If you’ve decided to upgrade your appliances bear in mind any specific requirements like any utilities that would need to be connected to it. One example is the addition of a dishwasher. A dishwasher will need a water supply and drainage facilities. Can your existing kitchen layout accommodate for this or will you need to modify any existing systems? Heavy appliances such as large, commercial ranges may require additional support work to be done on the floor below to accommodate the added weight. Smaller appliances like microwaves may need custom cabinets or specialized shelves, unless you plan on setting these appliances directly on your counter. The above are just a few things you need to keep in mind when planning a kitchen renovation. 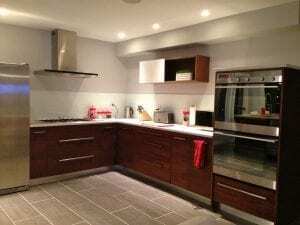 The list can go on and on and for this reason we highly recommend you get in touch with a specialist like Litwiller Renovations when planning your next kitchen renovation. Serving the Calgary region for over 30 years, we’re happy to share our knowledge with you so contact us today for a free consultation and find out how we can help turn your dreams into reality.